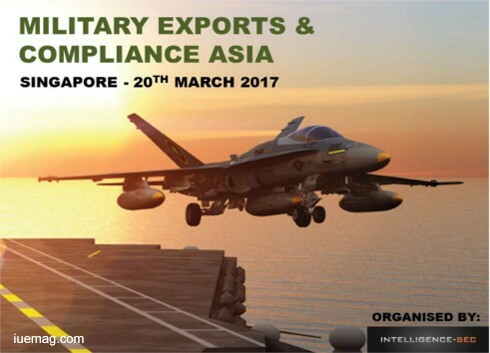 Join the Military Exports and Compliance Asia 2017 on 20th March 2017 - 20th March 2017 in Singapore! Asia-Pacific has many different and new export controls in recent years. The Military Exports and Compliance Asia 2017 will allow you to hear from the key nations across the region that will provide details on their latest export regulations and laws. There will also be an update on the U.S. export control reforms and how this will affect defence trade in the future years. This regional conference will provide public and private sector officials’ in-depth knowledge of the latest export controls and treaties in place across Asia-Pacific and the U.S. There will be a special focus on the ITAR and EAR reforms that are paramount for defence contractors to abide. Team APCA (Asia Pacific Countertrade Association Pte. Ltd.
Do not miss out on this amazing opportunity to hear from public sector officials across the region that will provide an insight into their nations export controls, regulations and laws. The event is sponsored by Covington & Burling LLP. In an increasingly regulated world, Covington has an exceptional ability to help clients navigate their most complex business problems, deals, and disputes. With lawyers based in Asia, Europe, and North America, we advise companies on trade control and anti-bribery compliance and regulations around the world. The iUeMagazine team is delighted to work with Military Exports and Compliance Asia as Online Media Partners & is expected to bring Unlimited Inspiration for all readers from the proceedings of this event. Staying tuned to the enriching updates from this event is recommended. To be a part of this regional conference either as a speaker, sponsor or delegate, please contact events@intelligence-sec.com or call +44 (0)1582 346 706.